A little less than a week ago, head coach Dana Altman worked his transfer magic yet again with the addition of former Villanova point guard, Dylan Ennis (Transfer/Brampton, Ontario). While certainly heralded, Ennis may provide the greatest asset a young Oregon team needs – leadership. With this addition, the Ducks gained a top-tier point guard with the intangibles to move Lightning Yellow and Thunder Green into the the final breaths of March. Now, back to the gridiron, west coast prep Lamar Jackson (3-Star/Elk Grove, CA) is primed to become the latest steal from southern California. “[Coach Don Pellum and I] had a nice chat earlier this morning,” said Jackson. 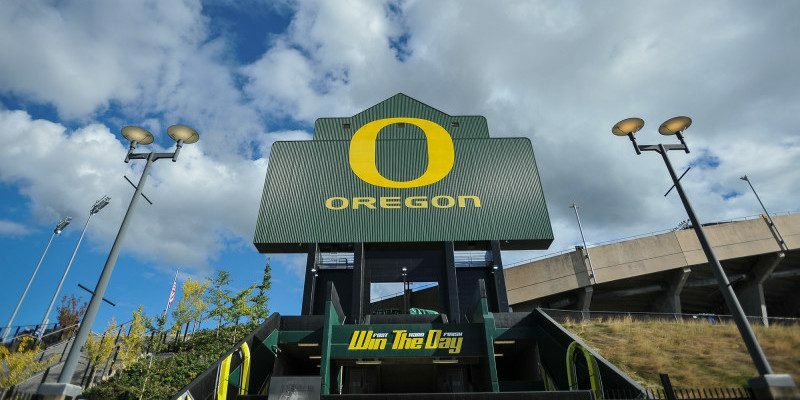 The two-way star finally received a Ducks offer after months of recruitment from Eugene. At 6-foot-3, 207 lbs., Jackson is the type of player who may not enter his first college practice with a set position, but as a jack-of-all-trades who plays just about anywhere. Seeing time at quarterback and opposing wide receivers as a cornerback, Jackson will most likely find his niche somewhere in the secondary where a “hit first, ask questions later” mentality makes him an ideal candidate at the rover position. Expect an official visit from Jackson sometime during the 2015 home campaign, stay tuned!